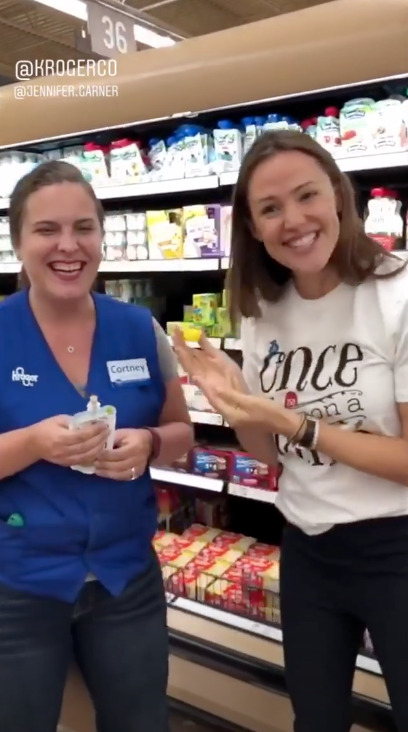 CINCINNATI — Would you like Jennifer Garner to feed you some baby food? If you answered "yes" for some reason, you really missed out recently. 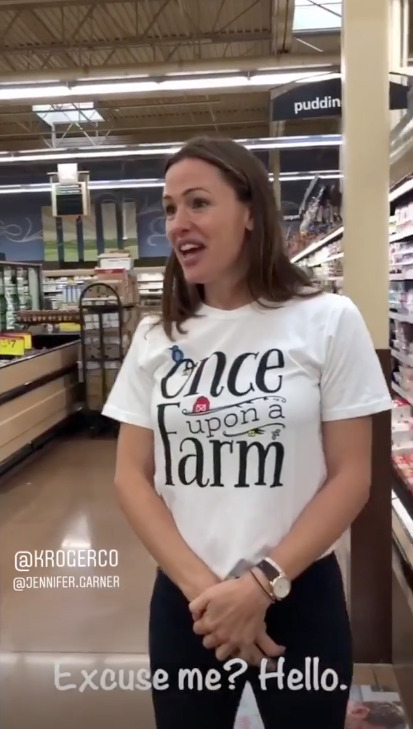 The actress was at a Kroger store somewhere in Cincinnati offering samples of Once Upon a Farm, the baby food brand she co-founded. The company posted videos of Garner's efforts on Instagram Thursday. You can watch it here, until it expires. "Can I talk you into trying baby food?" she asks one man. "I'm sorry," he replies. "I'm really busy." "Nah," says another Kroger patron. "No," says another. Eventually, the video does show a baby trying some. 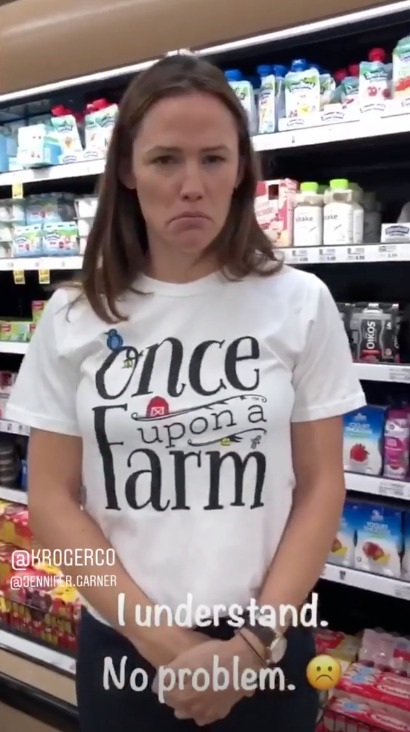 Then a Kroger employee tries some, too.